No, not William Hague, off to be as near as he can to Angelina Jolie, but the International Court of the Hague. Many moons ago Putin seized a private company after accusing it for tax fraud, Yukos, which had grown to control much of Russia's oil and gas through likely dubious means after privatisation in 1993, was broken up and its CEO - the politically active Michael Khordokovsky, put in prison. The bits of the company were then sold to finance groups, who miraculously then sold it on shortly thereafter to Rosneft - controlled by Putin's ally. So much, so murky, the numbers involved are fantastic. 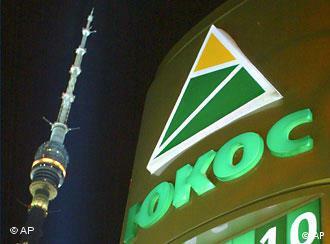 Yukos controlled 20% of Russia's oil and gas sector. The tax claim alone was for $27 billion! Whilst there is not tax treaty for shareholders, meaning all Western claims are effectively defunct, the management have been appealing over the years at the various international courts. Today's ruling comes as a milestone and leave Russia with just one last appeal (so a few more years then....). The timing for Russia could not really be worse, after the shooting down on MH17 and the proxy war it is sponsoring in the Ukraine. Little could it afford in its budget the $50 billion repayments sanctioned - all to oligarchs too, of all people. It will be interesting to see if Russia ignores the court when push comes to shove, as it will set a dangerous precedent for any Russian company wishing to operate abroad as it will have abrogated key international treaties. The timing for Russia could not really be worse. With the shooting down on MH17 and the hysterical finger pointing by the US/UK media, as well as the need to fight a proxy war in it's own backyard against EU/NATO sponsored coup in it's neighbour the Ukraine. Little could it afford in its budget the $50 billion repayments sanctioned - all to oligarchs too, of all people. Glad I don't have BP shares.